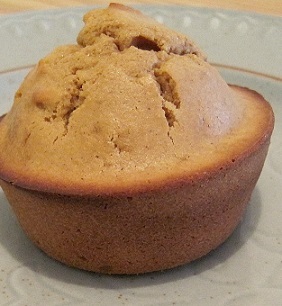 If you like peanut butter, you'll love this Peanut Butter Muffin Recipe. They are simply irresistible. Eat them plain or add butter and / or more honey or a favorite jam. 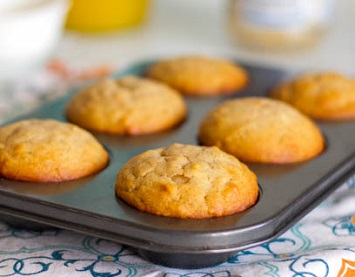 And these muffins are wonderfully delicious and comforting when served warm. The muffins are a quick treat in the morning when you are too short of time to eat a full breakfast. 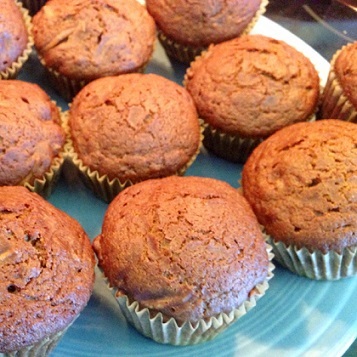 These muffins are also popular with children, so put one in their lunch box. They'll love you for it. Or sneak one to your neighbor - they will volunteer to mow your lawn! (See note below). IMPORTANT Note: Some children, as well as adults, for whatever reason(s) are very allergic to peanuts and peanut bi-products. Please check with guests BEFORE making or serving. Note: Lightly coat the measuring cup with a little vegetable oil and then pour in the honey so it will not stick when you pour it out. Note: Always have the oven preheated to the correct temperature or the muffins will not bake correctly. Also check for doneness at the earliest suggested time as ovens may vary in temperature. Enjoy your Peanut Butter Muffin and the company of those you share it with! You will share, won't you? Did you know? In the United States, the US Department of Agriculture initiated a program to encourage agricultural production and human consumption of peanuts in the late 19th and early 20th centuries. George Washington Carver developed hundreds of recipes for peanuts during his tenure in the program. In 1941, Time magazine dubbed Carver a "Black Leonardo."